ModelsOwn Xmas Nail Polish Box Sets and Nail Art Pens Coming Soon! Hi ladies! 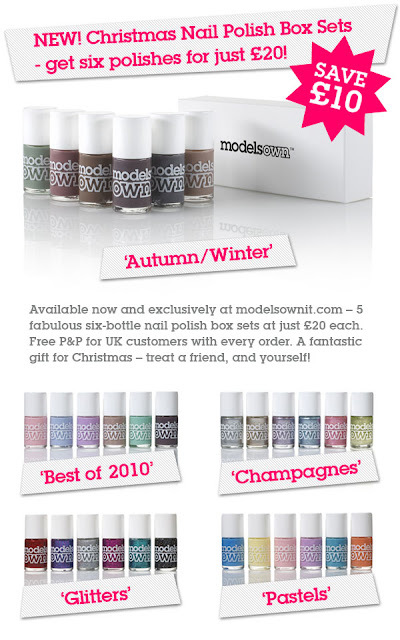 This is a quick post with news about ModelsOwn! I really like the Box Sets, they are perfect as Xmas gifts and their nail polishes are great! ... mi viene da piangere quando vedo queste cose XD devo smetterla di comprare smalti!